UK-based PXP Financial, a new payments firm delivering acquiring solutions for merchants, has officially launched. 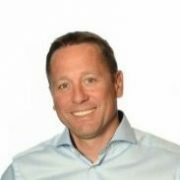 Led by CEO, Koen Vanpraet, formerly of Global Collect/Ingenico, Credorax and Intrapay, PXP aims to deliver omni-channel integrated solutions for in-store and e-commerce, with attention to risk management and data analytics. This will be expanded over time with a range of financial services for funding and working capital. PXP stands for “People x Platform”, Vanpraet explains. According to the CEO, the firm already counts as clients the likes of Abercrombie & Fitch, Hollister, Urban Outfitters, InterContinental Hotels Group and Millennium Hotels & Resorts. PXP has 250 employees from 25 nationalities working across six office locations: UK, Austria, Bulgaria, India, Australia and the US.